1. 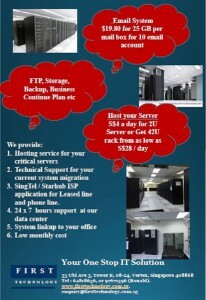 Hosting service for your critical servers. 2. Technical Support for your current system migration. 3. 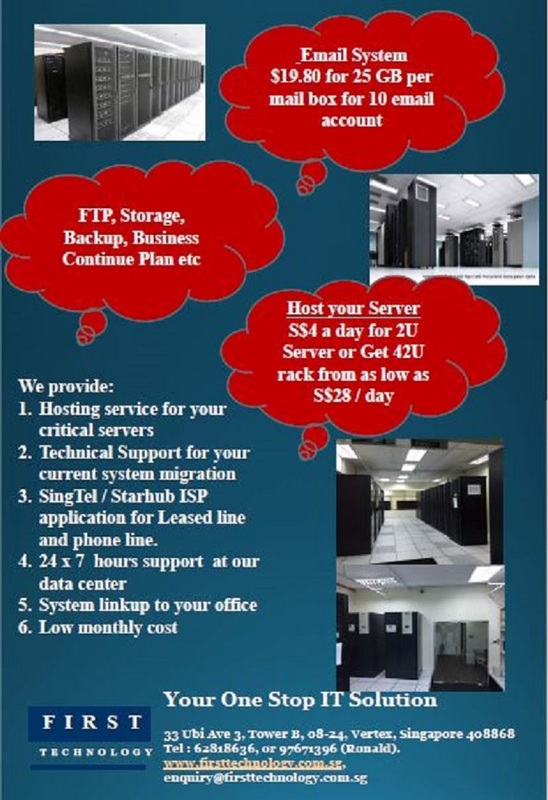 SingTel / Starhub ISP application for Leased line and phone line. 4. 24 x 7 hours support at our data center. 5. 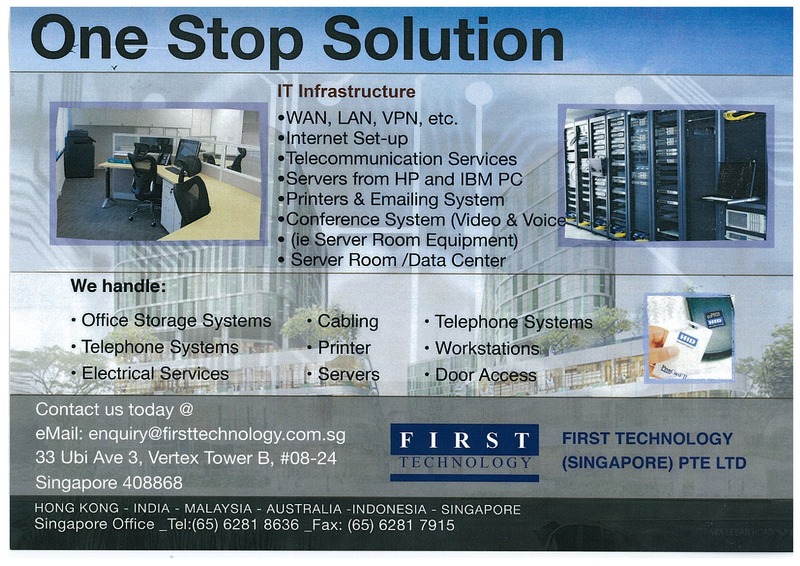 System linkup to your office.